Bag of names , single name will be produced to fill 250x250 mm sheet , bagged for ease of use . 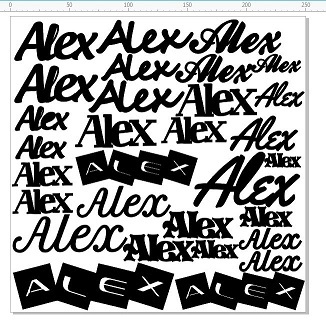 Several different fonts and lots of different sizes for all your scrapbook and card making needs . Please allow time for design.